Now owners of the new Kindle Fire Android tablet can get their Plex on, after the popular media app found its way to the device recently. The app, which also saw updates arrive for other platforms, makes it possible for Kindle Fire owners to stream media from their home network. They can also stream content from their friends’ libraries thanks to the recently released Plex cloud service, too. Plex is currently enjoying something of a purple patch, with apps being released for iOS and Android, as well as other third-party developers bringing Plex to hardware such as Blu-ray players and set-top boxes. 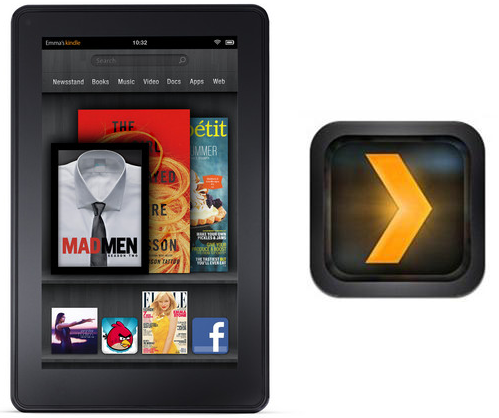 The addition of Plex to the fledgling Amazon Kindle could well prove to be a real shot in the arm for the device. Many believe that the user experience allowed by a tight integration with Amazon’s own online systems is the closest thing to Apple’s iPad yet. Apple has reaped the rewards of offering their own App Store, music store and video store on their own tablet, effectively controlling the experience from top to bottom as well as taking in the monetary rewards that come with it. Amazon’s offering is the first to come close to Apple’s business model. With Amazon having its own take on the Android Market, as well as its own video streaming service and iTunes-like music store, the online retailer is in a unique position to take Apple on at its own game. Add in the exceptionally low price of less than $200 and Amazon could be onto a winner. The addition of Plex helps Amazon’s Kindle Fire get away from the tag of being ‘a fancy e-reader’ by bringing other top name media services to its arsenal. More media options on the Kindle Fire will help to sell it to potential customers wanting a portable media device without paying the $500 entry fee for an iPad 2. The Kindle Fire’s more portable 7-inch size will also factor here, making it a more attractive proposition for those not wanting something quite so large as Apple’s 9.7-inch tablet. Amazon will be hoping that Plex is just the start of a wave of impressive Kindle Fire compatible apps to make their way to the new tablet device. Head over to the source link for more info. Check out our Android Apps gallery to discover new apps for your Android device.